A music-making Cocker Spaniel, a conjuring Dachshund and a battle-hardened French Bulldog - with the thirteen fantastic, lovely detailed dog miniatures from the Animal Adventures series you will revive not only your DnD. And because special characters also deserve special treatment, there's this wonderful dog bed in the MINI MINUS bag for your adventurous canids. On the included Half-Size insert with 6 small and 12 large compartments, each of your four-legged adventurers gets a cozy place assigned. Whether it's the Pomeranian Monk Nightingale, Morgaine the Dachshund Sorcerer or Golden Retriever Wizard Cornelius, they all get the right compartment. 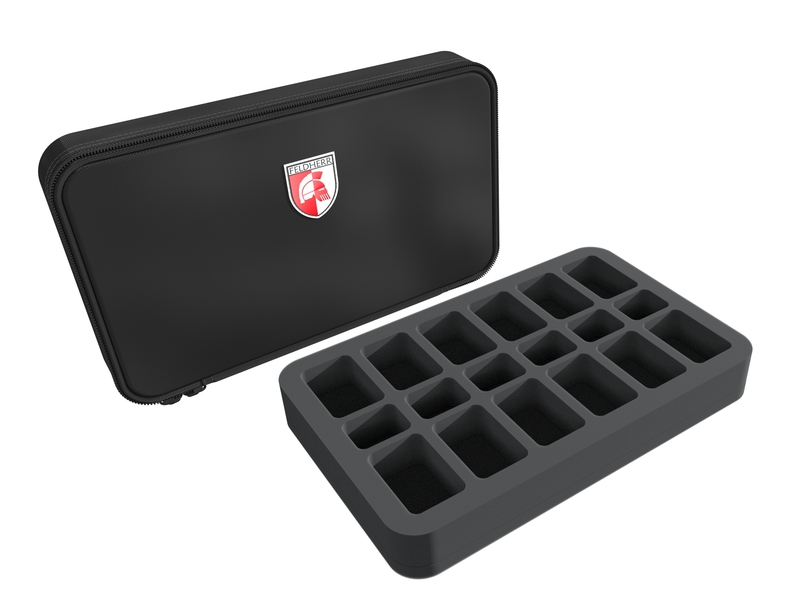 Fitting compartments and soft foam ensure that nothing happens to your miniatures. Nobody slips around or rubs someone the wrong way during transport. This protects the ears from bending and the colors of the painted doggies remain unharmed. 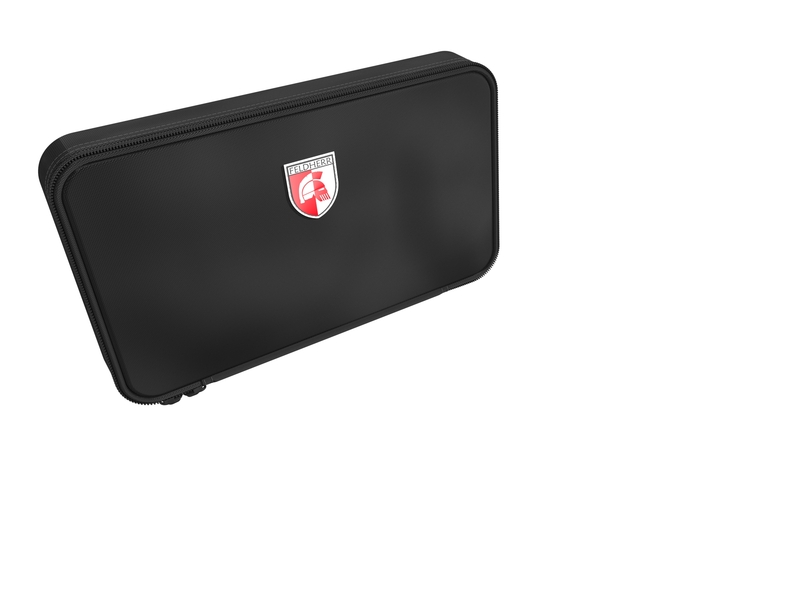 Another 5 compartments offer space for additional miniatures or accessories, such as dice. The supplied foam topper completes the all-round care and prevents the figures from falling out or rubbing against the lid of the bag on the way. The MINI MINUS bag is made of particularly hard-wearing material and thus optimally protects your doggies from external influences. An inside pocket with zipper offers additional space for sheets, maps or writing material.